Last Sunday, on the 69th Army day, All India Radio invited me to two back-to-back programmes, ‘Sandesh to Soldiers’ (S2S) and ‘Challenges facing the Army’. I was introduced as a veteran who had fought in the wars of 1965 and 1971, participated in peace-keeping operations in Congo and Sri Lanka and served on the Line of Control (LoC) and the Line of Actual Control (LAC) — this reflecting the uniqueness and versatility of the Army deployed from Siachen to Thiruvananthapuram and from Sopore to Car Nicobar. Of the 87 martyrs in 2016, 60 belong to the Infantry and nine were officers from across the Army. These figures showcase the ground reality and that fighting forces are led from the front by officers. The S2S was an awe-inspiring inaugural launch whose centrepiece was the sacred pledge taken by a soldier on joining. It highlights command: Obedience of orders of the President of India or to whichever superior officer he delegates the authority, even if in carrying out the orders he has to sacrifice his life. No other Government servant similarly puts his life on the line. I placed this oath of allegiance in the context of the epic Field Marshal Chetwode motto, guiding the officers graduating from the Indian Military Academy that: ‘The safety and honour of your country comes first always and every time; the safety, honour and welfare of the men under your command come next; your own safety, honour and welfare come last always and every time’. It is this time-tested officer-soldier bonding, the hallmark of the Indian Army, which as social media has shown last week, may be fraying. Chandra Shekhar Ghosh, founder of Bandhan, is a man worthy of emulation by the country’s political leaders. With much debate going on as to whether the currency swap exercise was an attack only on corruption or if it was directed at corruption and black money that included informal economic activity, it was a good time to read the engaging book Bandhan: The Making Of A Bank by Tamal Bandyopadhyay (consulting editor at Mint and adviser to Bandhan Bank). It was an engrossing tale of detail, of transformation of a simple not-for-profit activity into a full-fledged bank. Indeed, it is a Bengal success story of entrepreneurship, passion and, more importantly, of a “take no prisoners” attitude. Chandra Shekhar Ghosh, founder of Bandhan, is a man worthy of emulation by the country’s political leaders. Two or three important personal and policy lessons come through rather well from the story of Bandhan. One is Ghosh’s insistence on performance and non-negotiability on certain parameters of discipline such as punctuality. The grace time of 10 minutes he had given for arrival in office after 9am was removed after it became the baseline. Through several instances, he comes across as a man who does not have much tolerance for non-performance or under-performance. Taking a cue from Ghosh, the Prime Minister can drive home at least two civic messages in his monthly radio addresses to the nation. Maintaining discipline on roads—such as obeying traffic lights and rules—is one. The second is punctuality or, more generally, respect for others’ time. These simple things are the hallmarks of development—not gross domestic product driven by debt accumulation. Instead of boosting bilateral military cooperation, Russia and Pakistan should focus on less visible, but more important fields of partnership, to start with formulating the roadmap for bilateral relations, and facilitating trade between them. Since the collapse of the USSR there has been no reason for Cold War-era foes Russia and Pakistan to avoid each other. The decision to facilitate cooperation between Russia and Pakistan was long expected. It was made only recently, and resulted in the visit of the Russian Defence Minister Sergey Shoygu to Islamabad in 2014. After that both countries passed a number of milestones. Shoygu signed an agreement on military cooperation. The two countries agreed on delivery of four Mi-35M Hind-E combat helicopters. On Sept. 26-Oct. 10 Russia and Pakistan held their first-ever joint tactical exercises titled Friendship-2016 at the special forces training centre in Pakistan’s Cherat located in the northwestern province of Khyber-Pakhtunkhwa. It has been already confirmed by the Russian Land Forces Command, that there will be a second joint exercise in 2017. Economic ties between Russia and Pakistan are not so good. In their statistical data the governments of both countries mention each other under the word “others.” Bilateral trade volume between Russia and Pakistan decreased in 2015 by 13 per cent and reached $395 million (as compared to $453 million in 2014). Yet in 2015, the governments of Russia and Pakistan signed an agreement on cooperation in the construction of the ‘North-South’ gas pipeline (from Karachi to Lahore). This agreement may help both countries to boost the bilateral trade with the Russian investment of $2 billion in the project. Raheel’s Saudi role to backfire on Pak? The move to avoid joining IMAFT initially was driven by internal considerations. In the background of the bitter slugfest between the politicos and military men in Pakistan, the ease with which former Chief of Pakistani Army Staff Gen. Raheel Sharif demitted office raised many eyebrows. Earlier, rumour mills were rife from a possible extension, “field marshalship” to even popular support for a military takeover for the then COAS. Defying the widespread public sentiments and the precedents of “extension” set in motion for the last 18 years with the previous two COAS extending their terms beyond the stipulated timelines — Gen. Sharif stepped down in a civil, unhurried and confident manner on November 29. The possible reason for the seamless “hanging up of boots” perhaps lay in the supposed Pakistani quid pro quo where the Saudi Arabia-grateful government of Nawaz Sharif bought peace with the general in return for sovereign acquiescence to the Saudi kingdom’s earlier request soliciting Gen. Sharif’s services in heading the 39-country Islamic Military Alliance to Fight Terrorism (IMAFT). Gen. Sharif has impressive credentials in handling terrorism — he was leading the Pakistani establishment’s counter-fightback with its own Frankenstein monster, the Pakistani Taliban (Tehrik-e-Taliban), while on the other hand as the overall head of the infamous ISI he was privy to machinations of its nefarious terror networks. From spearheading Operation Zarb-e-Azb in the lawless North Waziristan to his Atlas-like persona playing out on the mean streets of urban Karachi, to controlling rural banditry in the dustbowls of Sindh — the superhero of Pakistan’s fight against terror makes him a logical candidate to head such a coalition to fight international terror. Besides, Pakistan has the largest standing Army in the Muslim world (0.6 million, sixth largest in the world), arguably the most professional within the ummah, and nuclear to boot — not surprisingly, Mohammad Bin Salman Al Saud, Saudi defence minister and founder of IMAFT, had sought the additional coronation of Gen. Sharif as head of IMAFT, to his concurrent responsibility as Pakistani COAS. This was earlier turned down by Prime Minister Sharif owing to the impracticalities of managing dual responsibilities and the initial scepticism of Pakistan towards the obvious “sectarian” construct of IMAFT. Summary: Martin van Creveld is one of the top experts on modern war. That means non-trinitarian war, more commonly known as fourth generation war (4GW). Today he gives a typically brilliant briefing on the war in Syria, more similar to the Thirty Years War than anything in recent history. While a tiny and poor nation. Syria has become a focal point for the many conflicts twisting our world. We ignored his warnings about Iraq and Afghanistan. Let’s not do so a third time. — Paraphrase from “The Art of Poetry” by Nicolas Boileau (1674). 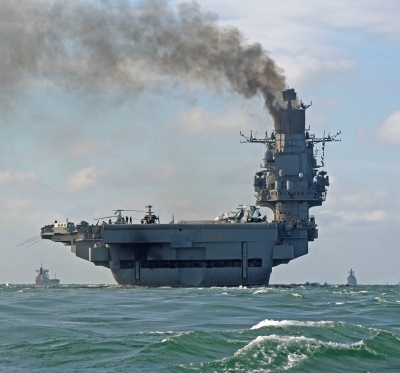 Russian carrier Admiral Kuznetsov in the English Channel on 21 Oct 2016. No, this is not Vladimir Putin speaking. This is Winston Churchill, not long after returning to power in 1951. The context? The conflict in Malaysia, which at the time had been ongoing for three years with no end in sight. The immediate outcome? The war came to an end and the Brits left. The ultimate outcome? To this day, whenever anyone suggests that brushfire war, alias guerrilla, alias people’s war, alias low intensity war, alias nontrinitarian war, alias fourth-generation war (currently, thanks to my friend Bill Lind, the most popular term of all) is beyond the ability of modern state-owned armed forces to handle, someone else is bound to ask: but how about the British in Malaysia? The 21st century is still just a teenager, but we can already forecast with a fair degree of confidence what its demographic profile will look like by 2050. Population growth will have slowed down. Global aging will have risen to unprecedented levels. Birthrates will drop. The working-age share of the world’s population will shrink. Poverty will ameliorate in poor countries; income inequality will worsen in wealthy ones. And for the first time ever, Islam will challenge Christianity as the world’s largest religion. What’s notable about these disparate trends is how much they are interrelated. They’re driven not just by the traditional demographic triad of births-deaths-and-migration, but by myriad powerful new forces that define modernity — from the empowerment of women, to improvements in health care, to the information and technology revolutions, to the concurrent rise of secularization and religious fundamentalism. However, the fact that they are connected does not mean they are universal. Beneath the broad umbrella of global demographic change, there will be sharp variances across regions (and sometimes within countries). The president-elect favors people who have been successful in the private sector and amassed personal wealth over those who have achieved prominence in academic or policy fields. Those close to him, including chief strategist Stephen K. Bannon and senior adviser Jared Kushner, see think tanks as part of a Washington culture that has failed to implement good governance, while becoming beholden to donors. I recently mentioned the new roads being built in Western Tibet (Ngari) towards the Indian border (G564 and G565). According to Kangba TV, the Tibet Autonomous Region (TAR) has created a basic integrated transport network, with a total road mileage of 82,500 km, five airports, 71 domestic and international airlines, as well as the Qinghai-Tibet and Lhasa-Shigatse railway lines. The TAR has spent 8.5 billion yuan in railway projects in 2016, and 7.5 billion yuan were used on the Tibet section Sichuan-Tibet Railway. With the arrival of Che Dralha at the helm of the TAR government, this trend will probably accelerate, as one of his objectives is to develop tourism on a large scale. 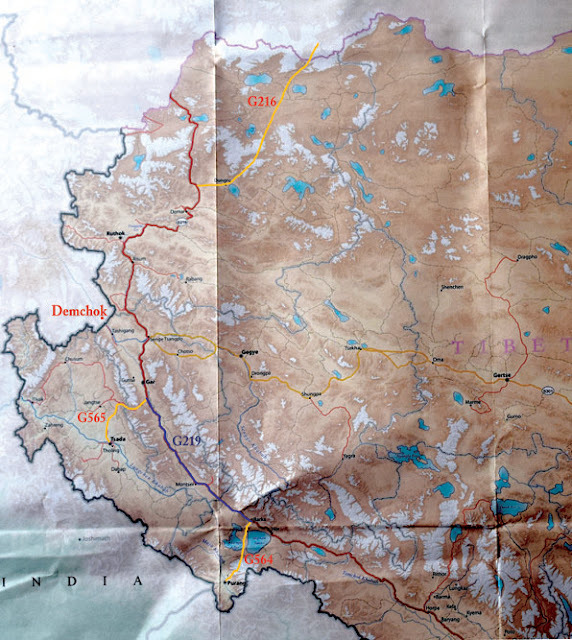 China Tibet Online further announced that “the highest ring road is being built”. With six lanes, the road will circle around Lhasa city. It will have a total length of 100km; it will include seven tunnels and 27 overpasses. Once the road is opened in June, the drive around the capital city will only take two hours. On January 11, Wu Yingjie, Secretary of the TAR Party Committee, met a delegation of senior officers of the People’s Armed Police on the side of the Regional People’s Congress. Lt Gen Xu Yong, the Commander of the Tibet Military Region was in attendance. It is said that the atmosphere is very warm. The divide between domestic politics and geopolitics can be a hard one to bridge. Partisan politics and pageantry can get in the way of a country's underlying geopolitical imperatives, driving policies that undermine or contradict them outright. The tension between national and international politics is on full display as the United States prepares to inaugurate Donald Trump as its 45th president. Throughout Trump's campaign and subsequent transition, voters, commentators and observers in the United States and beyond have scrambled to square his proposed policies with the geopolitical constraints they will encounter. Many of Trump's campaign pledges centered on retooling the United States' trade partnerships, for instance by renegotiating NAFTA or scrapping the Trans-Pacific Partnership pact. The United States' trade ties with China have been the object of Trump's most vehement criticisms; the president-elect has even proposed a 45 percent tariff on all Chinese goods to correct the apparent disparity in the bilateral relationship. BEIJING—As the U.S., U.K. and others hit pause on globalization, China is flexing its economic muscle with an ambitious infrastructure-building spree that would connect up to a third of the world’s people. In recent years, Beijing has set up a range of institutions and groupings that are being mobilized to promote China’s interests—from the Asian Infrastructure Investment Bank to separate regional development investment forums from Latin America and the Middle East to Central and Eastern Europe. Chinese President Xi Jinping, who has pushed a more forward-leaning foreign policy than his recent predecessors, has used recent global summits to call for freer trade and urge against protectionism. He is expected to reiterate the message in a keynote speech Tuesday at the World Economic Forum. 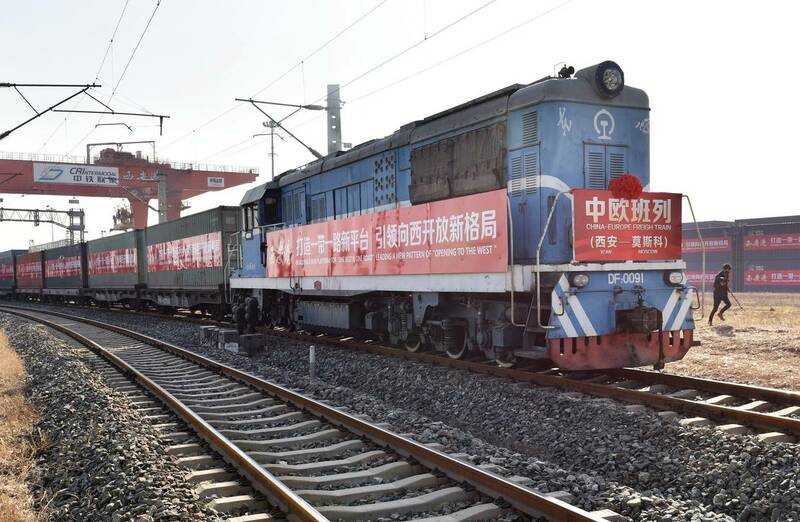 Mr. Xi’s—and China’s—biggest calling card is the mega-infrastructure Silk Road initiative, also known in China as One Belt, One Road, which envisions building railways, ports, roads, dams, pipelines and industrial corridors across dozens of countries in Asia, Europe and Africa. Alexander III, the conservative Russian emperor who ruled from 1881 to 1894, once famously remarked to his ministers that Russia has only two allies: its army and its navy. "The others," he said, "will go against us at the first opportunity." For a century, with the exception of a few brief moments, the United States has been Russia's main adversary. After all, blaming the Americans for all of Russia's woes was a matter of convenience: The Kremlin simply fanned the flames of hatred, keeping its population's attention fixed far from the problems unfolding inside its borders. But for the most part, Russia considers Trump a friend — at least from my vantage point in Moscow. During the presidential primaries, Russia's state-run television stations enthusiastically praised him, almost as if we Russians were preparing to vote for him, rather than the Americans. Many parts of the country — including the Kremlin, judging by its forgiving response to Washington's recent expulsion of 35 Russian diplomats — have since celebrated his victory. The death of Akbar Hashemi Rafsanjani on January 8 was a landmark for the Islamic Republic of Iran. Rafsanjani was a pivotal figure in the country’s path since the 1979 revolution: a founding father, a military leader in the war with Iraq, and twice President. More parochially, his presidency also saw a historic shift in ties with India, laying the groundwork for the cooperation that has unfolded, haltingly, over the past 20 years. Rafsanjani’s two nicknames, “Akbar Shah” and “the shark”, convey his blend of power, cunning, and adaptability. His funeral last week drew more than two million people, comparable only to that of Ayatollah Khomeini in 1989. But in his most recent political incarnation, Rafsanjani was also a source of support for Iran’s beleaguered reformists. The man who had helped elevate Ali Khamenei after Khomeini’s death, presided over an assassination spree of dissidents at home and in Europe, refused to lift the fatwa on Salman Rushdie, and was famously, fabulously, corrupt — this same man became, in the final decade of his life, a totem of pragmatism, moderation, and reform. Summary: Remember the hysteria in 2014-15 about the Islamic State? Our geopolitical experts debated whether they would be stopped at Cairo, Paris, or Chicago. Fast forward to today, where Stratfor predicts the rapid decay of ISIS. But even after it fades to irrelevance, a Jihad 3.0 will arise. By Scott Stewart at Stratfor, 12 January 2017. The Islamic State has entered into a slow decline that will continue throughout 2017. After its inception, the group energized the jihadist movement and drew thousands of enthusiastic foreign fighters by announcing the creation of a caliphate and assuring its followers that the end of the world was near. This enabled the Islamic State to rapidly amass manpower and capabilities — at least at first. But both time and geography have worked against the organization since its initial proclamation of a caliphate and an impending apocalypse. Despite the Islamic State’s frequent and pointed criticism of al Qaeda leader Ayman al-Zawahiri, the group has roughly followed the plan al-Zawahiri laid out in a 2005 letter to Abu Musab al-Zarqawi, who was then the head of the Islamic State’s predecessor, al Qaeda in Iraq. Nevertheless, there are significant differences between the timeline al Qaeda and the Islamic State have set for that plan’s execution. As we noted last week, al Qaeda argues that the caliphate can be established only after the United States and its European allies have been defeated so thoroughly that they can no longer interfere in Muslim lands, having lost either the ability or desire to do so. How India treats its armed forces is rarely revealed by soldiers at the lowest ranks. Little attention is paid to serious concerns about the systems of military justice. While delays in the judicial system are notorious, delays for the armed forces can turn fatal in the form of suicide and fratricide (also called “fragging” — where a serviceman kills his brothers-in-arms). Answers in the Rajya Sabha and to the Parliamentary Standing Committee on Defence, from 2003-2013 (data for some years are missing), state that there have been at least 1,666 suicides in the armed forces and 109 cases of fratricide. “THE world is a mess,” observed Madeleine Albright this week at a gathering of men and women who have, between them, witnessed every crisis to buffet American national security for 40 years. That crisp summary by the former secretary of state prompted bipartisan agreement at a “Passing the Baton” conference organised by the United States Institute of Peace (USIP) in Washington, DC, on January 9th and 10th. The meeting featured future leaders of Donald Trump’s national security team, their predecessors from the Obama government and—gamely emerging from post-election seclusion—folk who would have filled some of the same posts under Hillary Clinton. However, once participants began to ponder the ways in which the world is messy, agreement gave way to revealing divisions. On one side stood Republican and Democratic ex-ambassadors, officials, generals and academics who do not cheer a world in disarray. They see the rise of iron-fisted nationalists in China, Russia and Turkey, and fear that democracy’s post-cold-war march is over. They contemplate the fragility of international pacts, organisations and alliances and wonder if the rules-based order founded by America after the second world war will survive. On the other stand leading members of Team Trump, who call today’s global turbulence an exciting chance to reshape international relations to suit America. Cyber technology is making the hunt for mobile missiles faster, cheaper, and better. This upsets nuclear stability because it opens the door to accurate strikes with conventional or nuclear weapons on the backbone deterrent systems of the second nuclear age, namely, mobile missiles. The consequences of this technological shift are many: an increase in the benefit of shooting first; more nervous, reactive intelligence tightly coupled to offensive forces; and arms races as attacker and defender go through cycles of measure and countermeasure. The change also has far reaching consequences for stability and world order. It blurs the line between conventional and nuclear war, since even conventional attacks could disarm a country’s nuclear deterrent. It also undermines minimum deterrence strategies because states cannot have high confidence in the deterrent effect of small nuclear forces. The obvious counter is to get more missiles to ensure retaliation, and this means larger arsenals. To understand the destabilizing consequences here all one has to do is surf the web to look at the weapon of choice in the second nuclear age: mobile missiles, mounted on trucks, trailers, and special launchers. Cyber war can make many routine military operations—like finding high value targets—more efficient. But the understandable desire for efficiency can produce strategic effects that are inherently unpredictable. They can also lead to changes in power balances. In business, for example, Amazon used cyber to streamline package delivery. But this led to shifting the balance of power in retail businesses more widely. Malls were shuttered as shoppers flock to web sites rather than crowded parking lots. Moreover, prices change much more quickly, as on-line sales give minute by minute sales data. The real threat to global critical infrastructure is not enemy states or organisations but squirrels, according to one security expert. Squirrels, birds, rats and snakes have been responsible for more than 1,700 power cuts affecting nearly 5 million people, he told a security conference. He explained that by tracking these issues, he was seeking to dispel the hype around cyber-attacks. 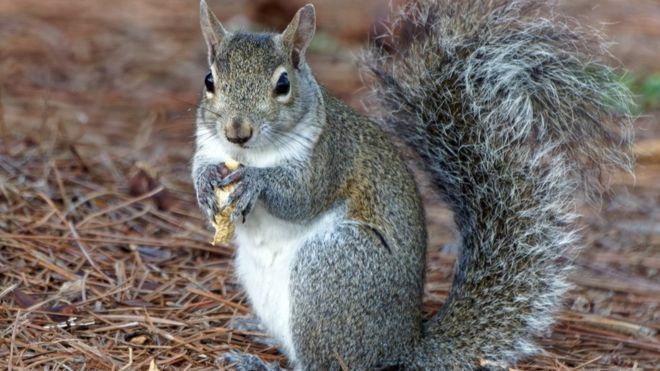 His Cyber Squirrel 1 project was set up to counteract what he called the "ludicrousness of cyber-war claims by people at high levels in government and industry", he told the audience at the Shmoocon security conference in Washington. *** Indian soldiers venting on Facebook: Are they failing the army, or has the army failed them? I remember meeting a veteran officer at his course reunion at the Indian Military Academy a few years ago. Let’s call him Colonel Not Happy Singh. Besides the normal complaints about his stay, for which he rang up everyone, from the garrison engineer to the commandant, he also recalled, with a lot of pain, his time at the academy. He had joined the academy as a direct entry officer cadet and many senior cadets (especially graduates of the National Defence Academy) routinely stole his swimming trunks, socks, and PT jersey. Many of his veteran course mates tried to make him understand the way the universe worked in a military academy and what larger cosmic act had conspired behind those mischiefs. He failed to understand and, thus, refused get over it. Military training is a social construct designed to break the civil routine of a recruit and re-mould him/her. Military training is a social construct designed to break the civil routine of a recruit and re-mould him/her according to the requirements of the armed forces. It comes as a culture shock to most recruits. They adapt at their own pace. Some get on with it rapidly; others take a little longer. Some like Colonel Not Happy Singh never do. The speech had already been sent to the mimeograph machine to be copied and distributed to reporters. But sitting at his desk in the Oval Office, the president was still rewriting. Reporters who were used to Ike’s tendency to edit his speeches up until the very last minute had learned not to take the “official” version as final. Those tempted to file their stories before the actual speech risked waking up red-faced when Ike’s delivery veered off in another direction.